The LOGE Winter Movie Series is in full swing! We'll be showing movies through fall and winter on our outdoor screens (weather permitting) or in our cafe/lobby at Bend & Westport when weather is not ideal. The third installment of the Deeper, Further, Higher trilogy. 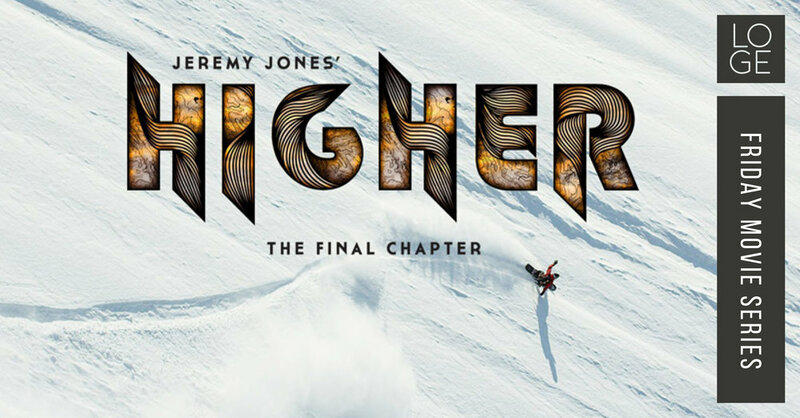 Backcountry snowboarder Jeremy Jones will leave tracks on signature lines in the close-to-home playgrounds he's made his own in Jackson Hole and Lake Tahoe, while also making history with far-flung first descents in the Eastern Alaska Range and the Himalayas of Nepal where the stakes are as high as the peaks themselves.